It’s been four years since the sold-out Alexander McQueen: Savage Beauty exhibition. 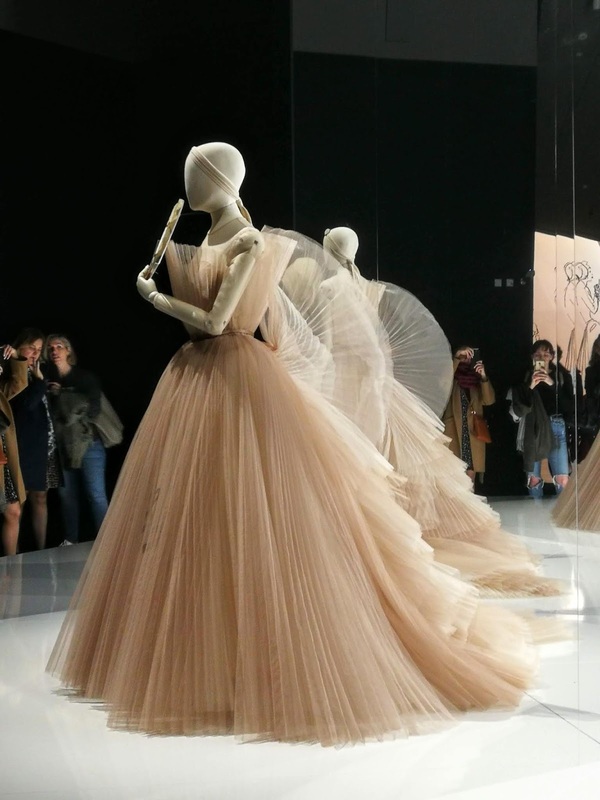 This year the V&A, named after Queen Victoria and Prince Albert, has curated another majestic exhibition about the talented Christian Dior: Designer of dreams. And it is just as magical as you would think. 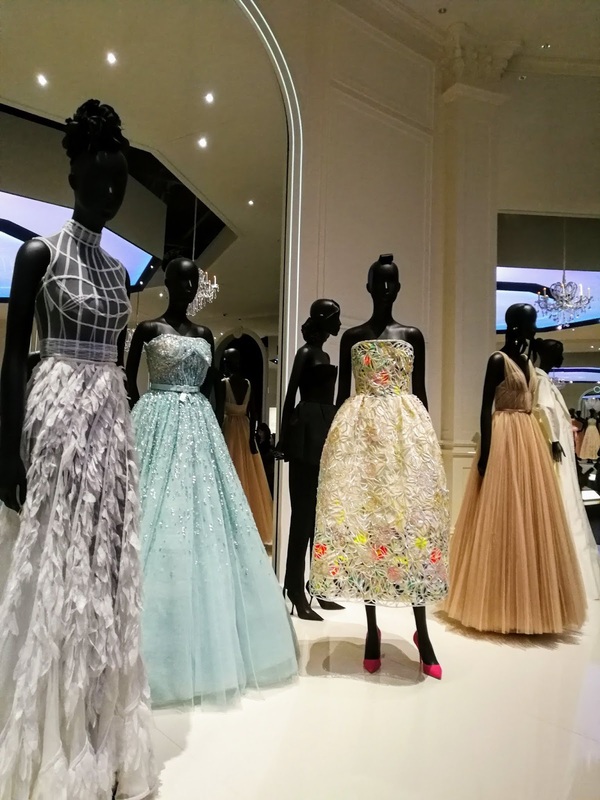 What I love most about exhibitions like these, based on couture, is that you can gain a real insight into the brand and an appreciation for the craftsmanship that goes into all the pieces. All the time people think of fashion as what’s on the rails in their local high street store but fashion is also the limited couture pieces. They've been made to fit and created individually by a whole team of seamstresses. That’s true art. 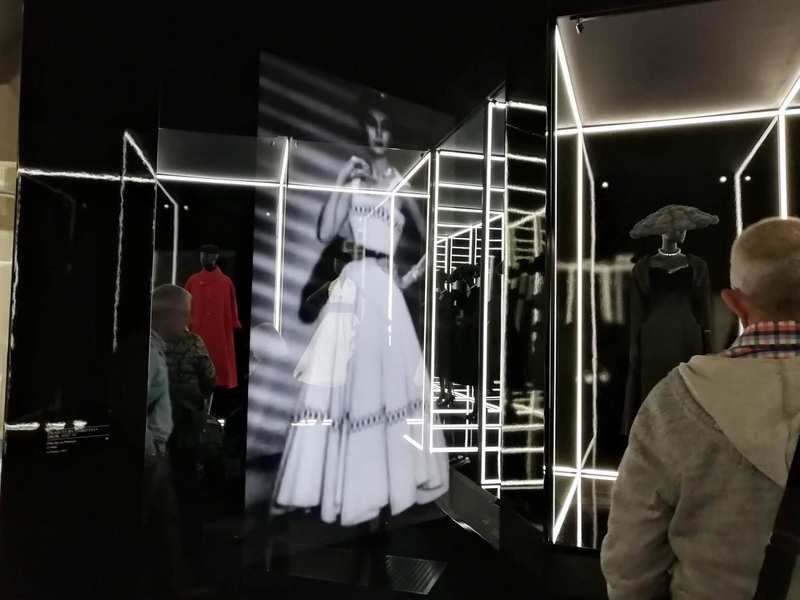 The first room of the exhibition is filled with pictures of a young Christian Dior that tell the story of how he came to be one of the worlds most famous designers. As you moved through, each room capsulated a part of the Fashion house. From the OG silhouettes and pieces such as the famous dress worn by Princess Anne for her birthday. To special rooms dedicated to the designs inspired by the 18th century, flowers and ball gowns. There was a mix of dresses through the ages and it was cool to see how each designer had used flowers as inspiration to create something unique. One of my favourite dresses was covered in individually painted feathers. From a distance, it looked like dried flowers you might find in a meadow, but on closer inspection were thousands of painted small feathers. It was probably my favourite dress because you could see the beauty up close, the cleverness of the design, and incredible craftsmanship. Since Christian Dior’s sudden passing in 1957, there have been 8 creative directors since. Including Yves Saint Laurent who later went on to design for his own label, John Galliano, Raf Simons and Maria Grazia Chiuri to name a few. As you walk through one of the large rooms you can see some of the designs that each creative director has done and contributed to the fashion label. The last room of the exhibition was black. 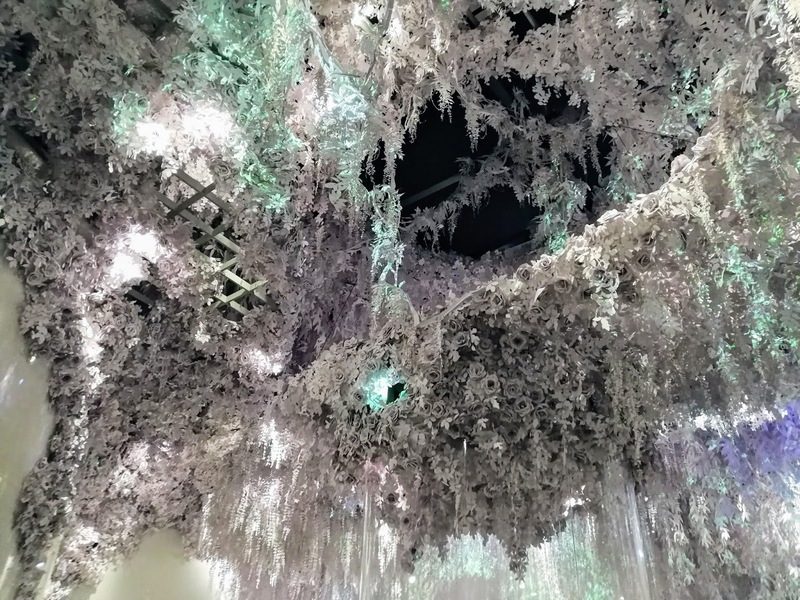 As you walked through it, on the left-hand side was a platform surrounded by floor to ceiling mirrors. In the centre of that platform, with a white backlight, was the most beautiful dress I had ever seen. Layers and layers of pleated delicate tulle flowed to the ground. The mirrors around the platform allowed you to see the stunning ruffled train which defied gravity at the top as it trailed down the back. 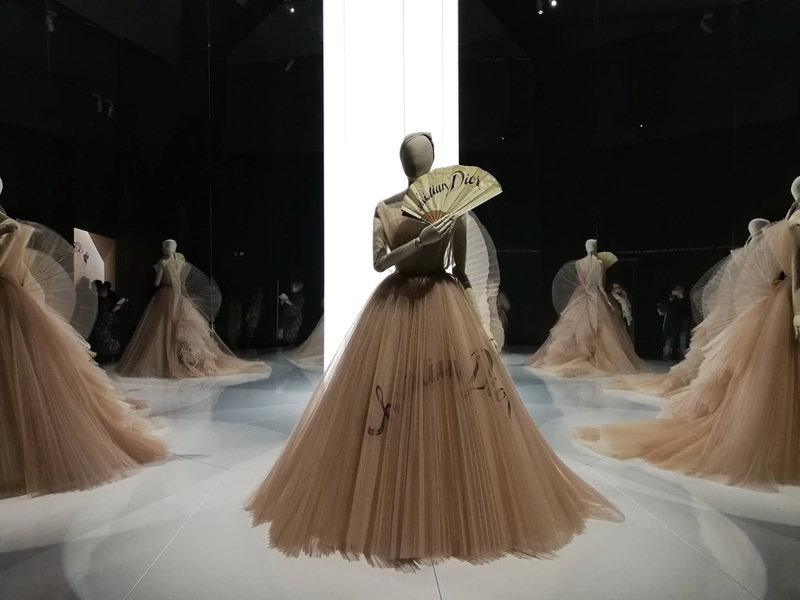 The dress was designed by the first and current female creative director Marie Grazia Chiuri and had been presented in Shanghai at the Spring/Summer 2018 haute couture collection. She had been inspired by a 1950’s promotional fan for the house of Dior and the skirt is embroidered with same Dior signature. All I can say is that I wish I could wear a dress like that. Just when I started to lose hope in the fashion world and at how disposable it has become, an exhibition like this has brought my belief back that there is more than just the throwaway culture. There is a whole legacy that has been left behind by the great fashion leaders and continues to be nurtured by designers. 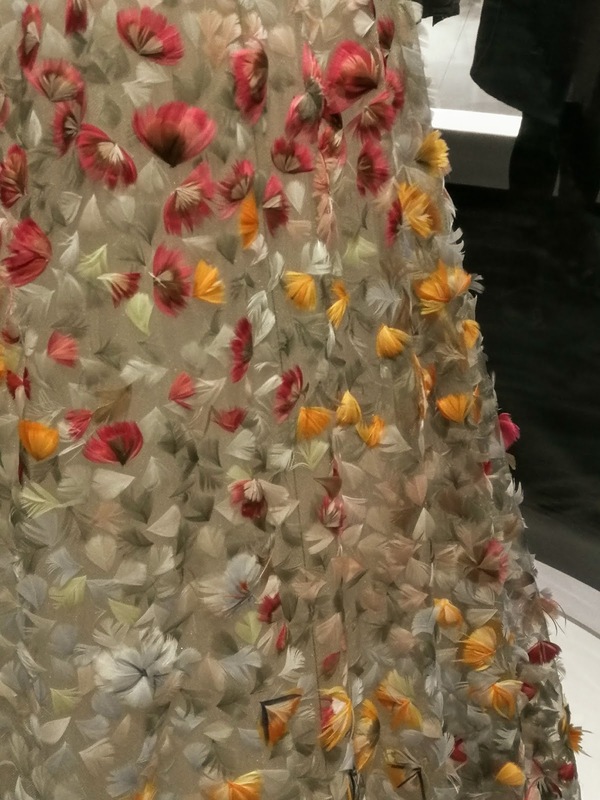 Christian Dior: Designer of Dreams is a stunning exhibition showcasing amazing the most amazing pieces. 100% recommended to anyone who is able to appreciate. 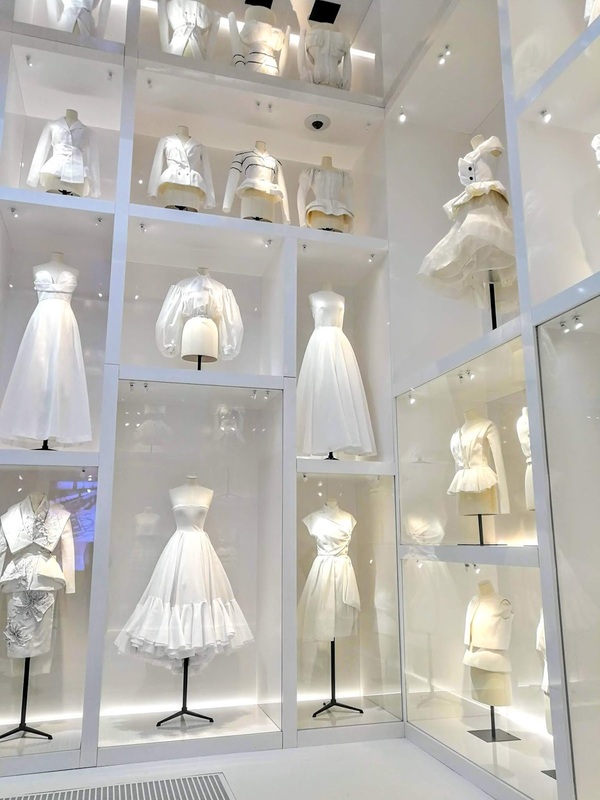 As expected the Christian Dior exhibition is sold out indefinitely, and due to the immense popularity, they’ve decided to extend the closing date till September. Yay!